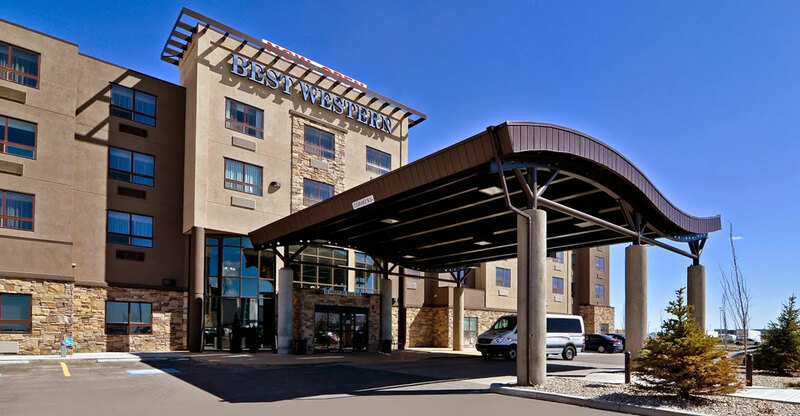 Best Western Premier Freeport Inn Calgary Airport Blog: The Flames heat up Calgary! Calgary is the very definition of a hockey town. This city LOVES the Flames, and you can see that support in everything we do. Famous for “the red mile,” the spontaneous mile long party that happens whenever the Flames have a Stanley Cup run, Calgary knows that the best way to cheer for your team is to get together and have a great time. That philosophy carries over to the stands of each and every Flames home game! If you’re ready to party, check out any of these upcoming home games! It’s red versus blue when Calgary takes on Columbus on March 19! Rest assured, by the time the game’s over the Blue Jackets spirits will match their coats. On March 21, The Ottawa Senators will come to Calgary to determine who deserves to be Canada’s hockey capital! If there’s one thing Albertans love it’s embarrassing Ontario – don’t miss this one! March 25 you can watch the Flames topple the Kings in a revolution of a game! The Kings are great players but if you ask us the Flames are better. Still, this is sure to be a scorcher! ON March 27, the Flames will take on these Texans to decide who are the real cowboys! Like any good Western, expect a shootout! Takes place March 29. Come see the Flames roast the ducks! It won’t be a Disney movie out there on the ice; expect hard-hitting hockey action all game long! Watching a home Flames game is always a great party, but when you’re through partying you need a place to crash and rest up for your next adventure. Book a room at the Best Western Premier Freeport Inn & Suites and take advantage of our complimentary shuttle to and from the airport!